Secret Agents and Spies have been a staple for Genre Fiction since the early 20th Century. 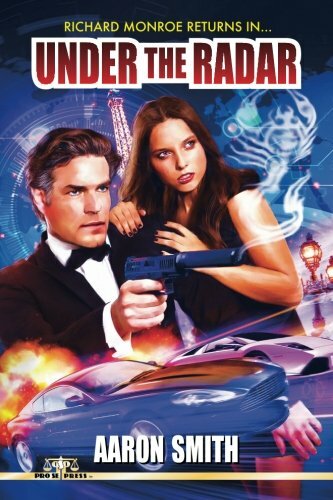 Pro Se Productions, a cutting edge Publisher of New Pulp, announces the release of the second adventure of one of the best new characters to enter the Espionage arena in recent years. Richard Monroe returns in Aaron Smith’s Under The Radar, now available in print and digital from Pro Se Productions. The thrilling sequel to NOBODY DIES FOR FREE-UNDER THE RADAR by Aaron Smith. From Pro Se Productions. Featuring fantastic cover art and logo design by Jeffrey Hayes and print and digital formatting by Forrest Bryant , Under the Radar is available now at Amazon at http://www.amazon.com/Under-Radar-Aaron-Smith/dp/1512099341/ref=sr_1_1?ie=UTF8&qid=1431697152&sr=8-1&keywords=under+the+radar+aaron+smith and Pro Se’s own store at www.prose-press.com for 15.00.